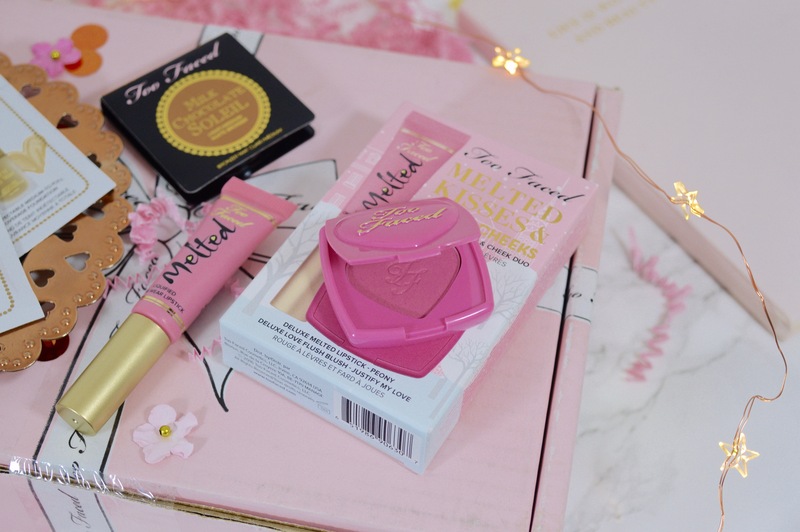 Early last month, a spring deal appeared on the Too Faced website offering free shipping worldwide. 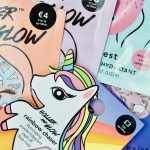 Although I was not willing to splash out so soon on makeup I couldn’t ignore the offer so looked for something to add to my basket. 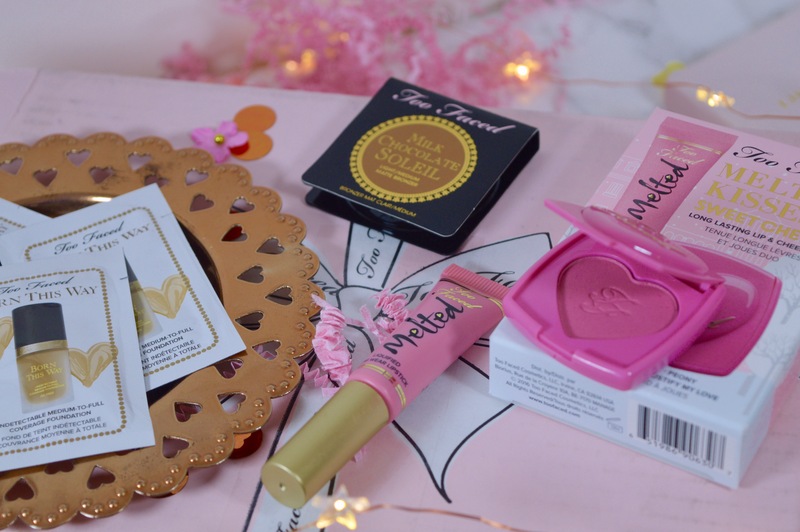 I ended up spending just £6 but managed to get a wonderful Christmas sale set including deluxe-sized miniatures of 2 of Too Faced most popular items. I love to try and test miniature or sample sized products before splurging on the real thing and this seemed like the perfect way to do so. The set itself is called; Melted Kisses & Sweet Cheeks and inside you receive a deluxe size of the Melted Lipstick in Peony and the Love Flush Blush in Justify My Love. 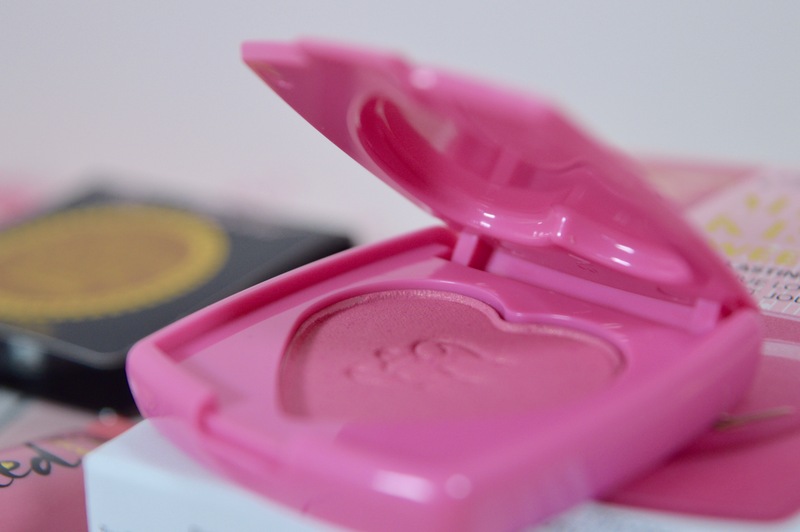 The packaging of the blush is what I love about it the most, it reminds me so much of something from Barbie that I used to play with when i was younger! The blush itself is a very vibrant, hot pink so a little goes a long way; the sample size is definitely the perfect size. 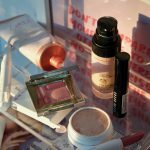 The specks of shimmer are also great for a healthy glow on the go! Out of the 6 shades in the Love Flush collection the set includes the shade Justify My Love. After already owning and loving the Melted lipstick in the shade Chihuahua I was keen to try another, which is also why I was so excited to try this set. 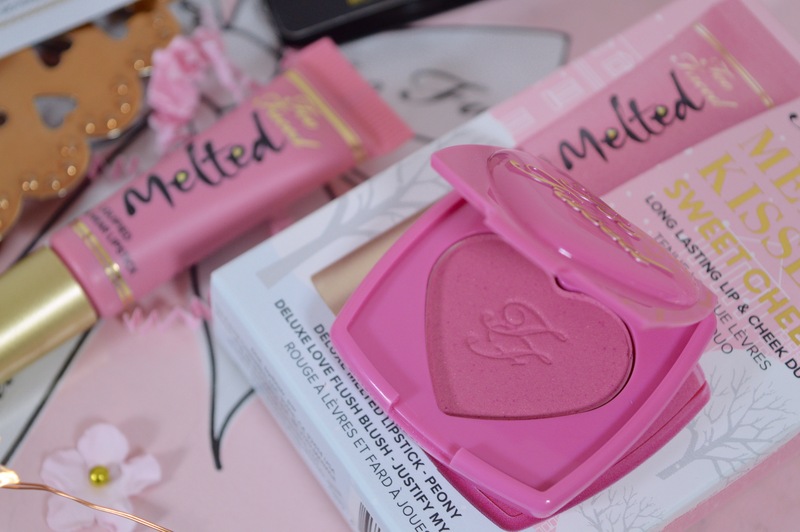 The shade in this set is Melted peony and similarly to the blusher it is a very bright shade. 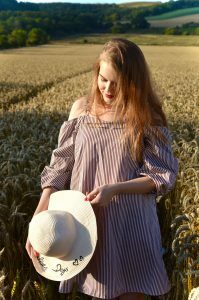 Alike it’s packaging it is a baby pink colour so will look great in the hotter months with tanned skin and my blue eyes. 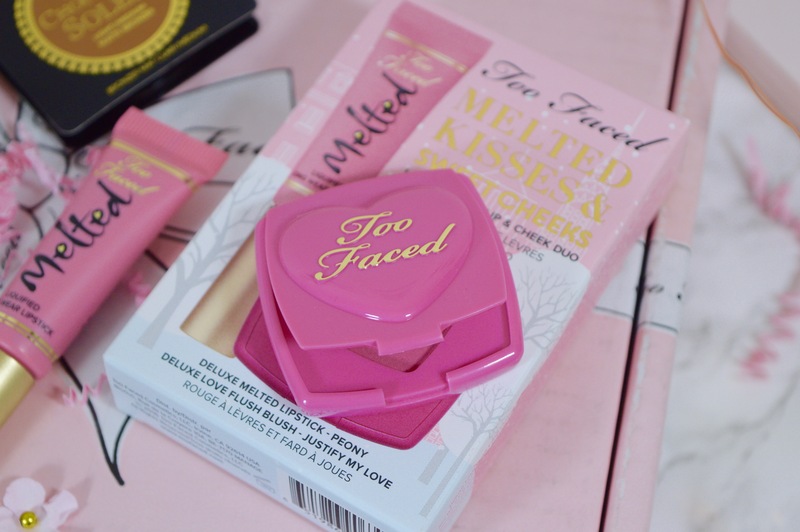 It has a matte finish and a very sweet smell as well as being the perfect size for handbags and travelling. 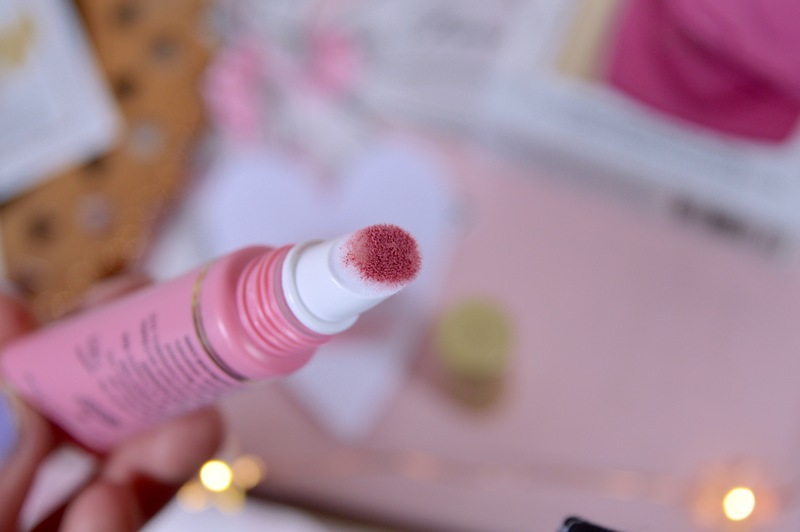 I can see this being a great holiday lipstick! 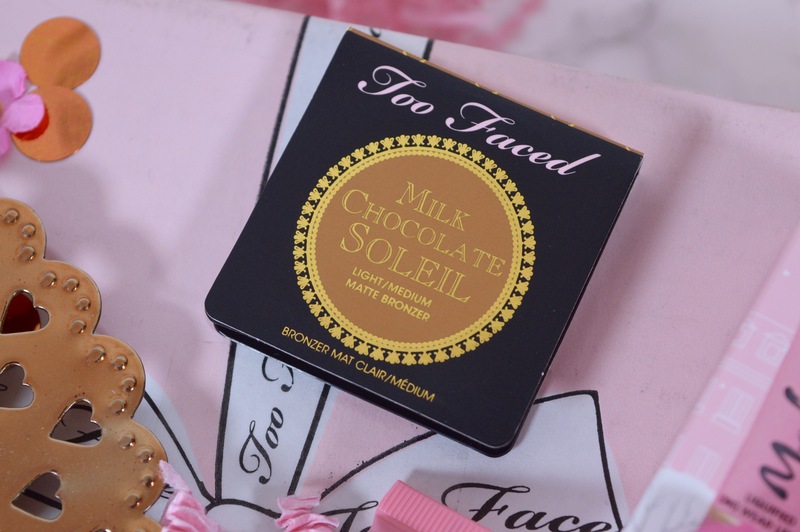 Alongside every Too Faced order you can choose 2 different samples to receive as well. 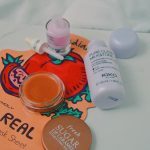 I believe the selection often changes however I chose to try the Born This Way Foundation and the Milk Chocolate Soleil bronzer. 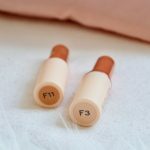 I was wary of these maybe arriving to dark for my pale skin tone however I received the foundation samples in the 4 lightest shades in the collection and the bronzer is the perfect shade. 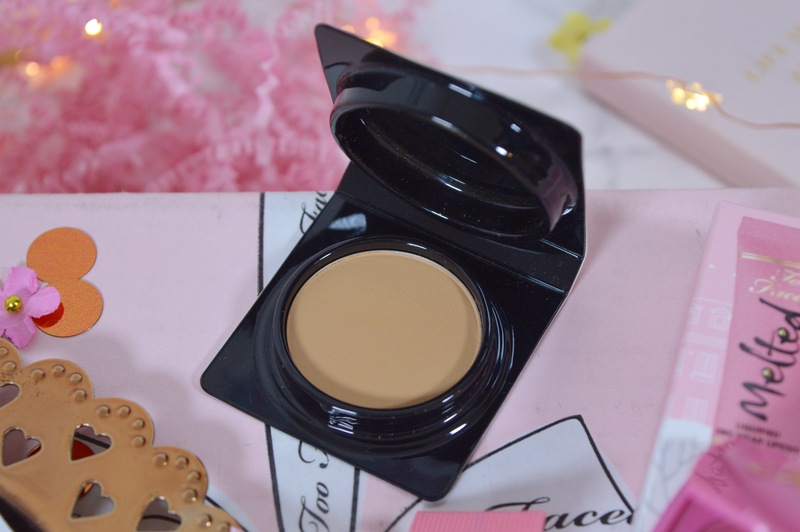 I haven’t yet tried the foundation as I’m saving the samples for an occasion however the bronzer is one of my favourites out of the many I have tried and has a lovely scent of chocolate which makes it even better! I can see myself buying the full size version when this one eventually runs out! Lastly, the delivery took just over 2 weeks, which I can’t complain about considering it was all free instead of the £18 it would otherwise have cost. The packaging was also in great condition from the prettiest, pink box filled with pink confetti! 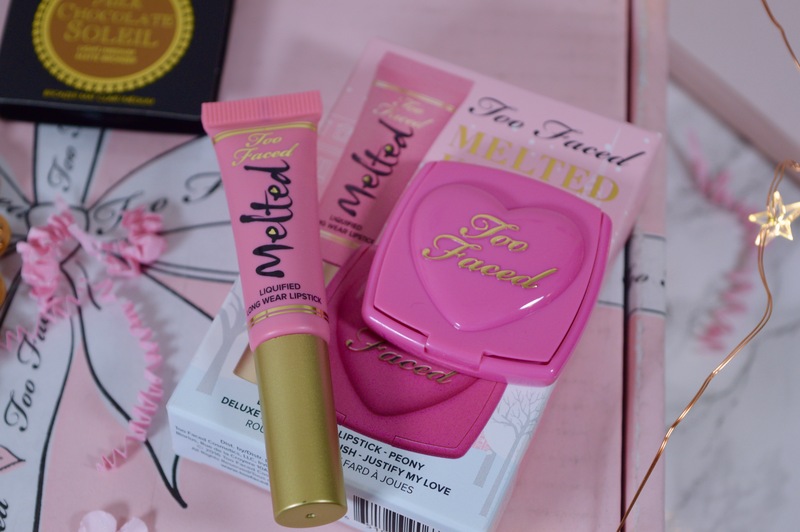 I’d love know your thoughts on Too Faced products and if you have ever tried any! 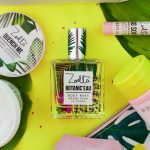 £6 is such a bargain for these products and with the free samples!! 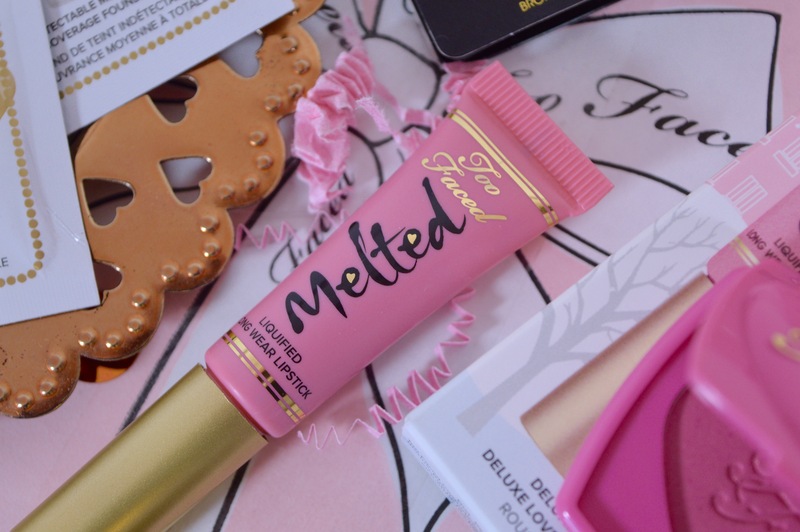 I’ll definitely be looking out for free delivery myself as I’ve always wanted to try some Too faced products! And as always your photography is killin it!! 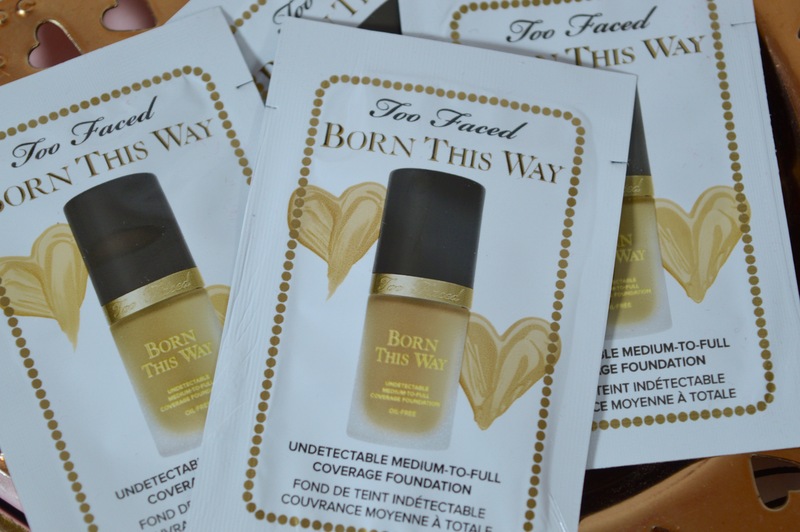 I really like the sound of the Born This Way foundation, but there is nowhere local to me that I can pick up samples to get the right shade. I wish there more samples were available in the UK, I only ever find foundation samples in magazines now!